Let’s venture into the Big Sky state of Montana and see what they have in the line of guest ranches. I found six and I’m sure there is more. I’ll go through each ranch individually. So put your boots up and come along and we’ll explore some more horse riding vacations. Near Big Timber, Montana is the Sweet Grass Ranch which is a six generation family owned operation. The contact information is 460 Rein Lane, Big Timber, MT 59011. Office phone (406) 537-4477, cell (406) 930-5441. Email is sweetgrass@mtintouch.net, website www.sweetgrassranch.com. They offer rides into the high country and lakes, but you get to enjoy the beauty of meadows to get to the upper levels. Guests are encouraged to learn how to work and herd cattle when it’s needed. After all that’s why you go to a cattle ranch; to rope and ride, right? The basic dates for the drives are June 14-21, July 26 – Aug. 2, Aug. 2-9, and the first two weeks in September. It would be best to contact the ranch directly for full details. When the work is done you can participate in gymkhana’s, tubing down the river, or glide down their natural slide. Fishing, hiking, and relaxing by a campfire is included as well. I have not come across this fun, could be wild experience of swimming with your horse, but it’s offered here at Sweet Grass. I know people take their horses in rivers all the time, but I never thought about it being offered as an activity at a dude ranch. But why not? I’m game. Sounds like a lot of fun. They offer a horsemanship clinic and photography seminar too. These two options, in my opinion, enhance the stay at this ranch. Rooms in the main ranch house are $1750. per person per week. A family unit is available with minimum of 4 at $1750. per person per week. Two bedroom cabin is $1900. per person per week. Bunkhouse is $1900. per person per week. A family cabin $1950. per person per week and two other cabins at the same price. There are two other cabins going for $1900. per person per week. At this ranch you are on the outskirts of Yellowstone National Park. Here you can ride a horse for miles and enjoy the wilderness. There’s an opportunity to herd cows too. Deer and elk hunters are welcome here during the fall hunting season to partake in the great hunting Montana has to offer. Along with fishing and cook outs you can also take part in nature programs and learn more about the outdoors. The dude ranch part is from June 1 to Sept. 30. Their rates are $380. per person per night and they have a three night minimum. The lodge has comfortable rooms with private baths. The lodge is where they serve dinners and where the Rocky Mountain Spirit Bar is locate too. Close by Livingston is the 63 Ranch hosted by Deanna and Jeff Cahill. The ranch got it’s name form the year is was formed, 1863. Since 1982 it has been a National Historic Site. The ranch is contact address is at PO Box 979, Livingston, MT 59047. Phone is 888-395-5151. 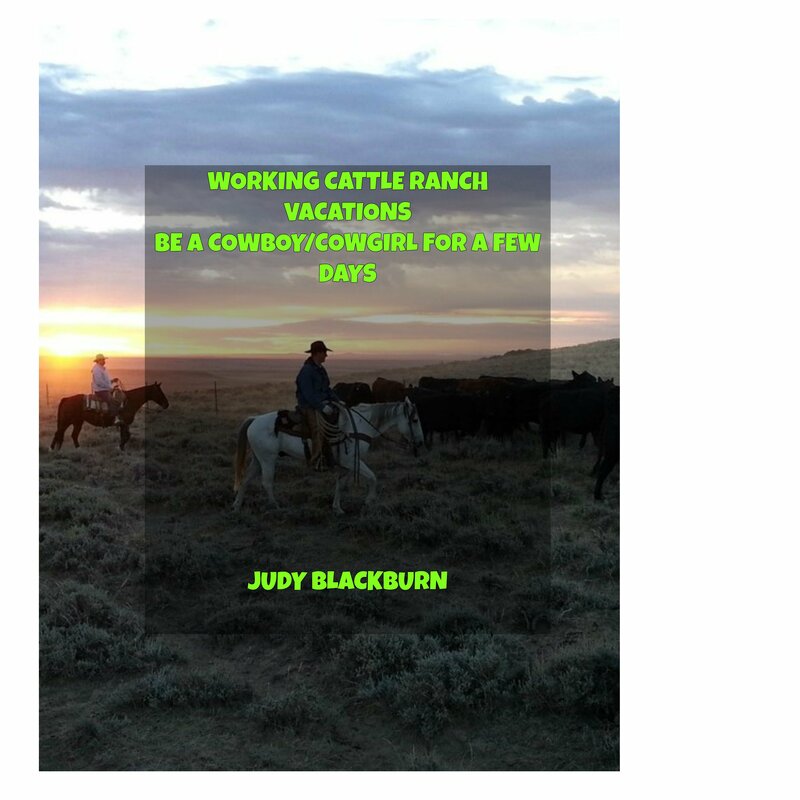 Email is vacations@63ranch.com. Website www.63ranch.com. They focus on making sure you are fitted with the right horse for your riding ability. If you are having fun with your horse you will have a more entertaining stay. Riding instructions are included. You don’t have to take part in the goings on at this ranch, you choose. You can join in or just relax. Adult each and two or more is $2040. Child (5 and younger) $300. Their daily rates are and for a three day minimum, $375. per adult and $325. per child (6-11) per night. Contact information is PO Box 233, Townsend, MT 59644. Phone (406) 266-3322, email hideaway1987@centurylink.net, and website www.flynnhideaway.com. They too have to drive the cows from place to place and you are invited to come along. One old time adventure you can do here and is still done is panning for gold. I think this would be a fun activity to do. After a day of riding and curing your gold fever, you can sit by the campfire and soak up the atmosphere of the old west. The costs are for a single occupancy $2050. age 14 and older $1750. age 6 – 13 $1350. age 5 and younger $750. The daily rate at three days minimum is age 14 and older $390. and age 13 and younger $340. The Bonanza Creek Guest Ranch is located near Martinsdale. Some of their contact information is their website www.bonanzacreekcountry.com/the-ranch.com and the phone numbers are (406) 572-3366 or 800-476-6045. The guests season starts June 14 and goes through Sept. 12. Rates are for adults $2100. per person per week and children (8-12) $1800. per child per week. This is another ranch that lets you into the heart of being a cowboy. Riding a horse that is in tune with your riding experience and the chance to just relax and enjoy your stay. You can help move the cattle and take in all of nature’s scenery that you can handle. One of their special retreats is called Touched By a Horse and is unique in that it is a life coaching retreat for cowgirls to help them work through any issues in life they are facing. The cost for this is $2000. per person per session. Must be 18 or older to participate. I’m thinking this ranch may be one of the best. Being located in the Crow Indian Reservation it has a lot of Indian and cowboy history to share. This family owned ranch takes guests on cattle and horse drives from the ranch to winter pasture in Lovell, Wyoming and back in the spring. Depending on what time of year you are visiting would determine which drive you’d be on. The contact info is www.dryheadranch.com. Office address is 1062 Rd. Lovell, WY. 82431. Office phone is (307) 548-6688 or the cell number is (307) 272-6688. Email at dhr@tctwest.net. All ranch vacations are a weekly rate of $1800. per person for five days of riding. Apparently they don’t have overnight guests accommodations, but they do offer hotel arrangements where you can get a discount rate. The two hotels are Best Western Plus Clock Tower Inn and Dude Rancher Lodge both located in Billings. So there you have a few Montana ranches to think about. Be sure and visit their web sites for all their information.